Link to the video above on YouTube. Link to the lyrics for the song "Now I Know." the ease with which lyrics about romantic relationships can be reinterpreted as lyrics about sugar. Let me offer some tips for escaping the thrall of sugar. Three Weeks' Patience. The first is one I alluded to above: if you can go three weeks without eating sugar, it will get easier. It may still be hard, but sugar won't call to you quite as much. Foods that didn't taste that sweet to you before will start tasting sweet. And if you try again some of the foods you used to love, they will taste too sweet. What is more, if you can go three weeks without eating sugar, then if you do eat sugar again, you will be able to notice what it does to you: sugar makes you hungry. The calories-in/calories out identity is so misused in our society that I don't like to talk too much about calories. But there is one context in which I don't mind talking about calories. A key ratio for foods and beverages is the satiety to calorie ratio. If the satiety to calorie ratio is high, you will naturally want to stop eating before eating too many calories. If the satiety to calorie ratio is low, you will naturally want to eat too many calories. My experience is that sugar has a negative satiety to calorie ratio: eating sugar doesn't make you feel more full; it makes you feel hungrier, like subtraction soup in one of my favorite childhood books: The Phantom Tollbooth. To prevent temptation before it begins, make sure to invent some very healthy, substantial dishes that you love to eat and love to make. For me it is "My Giant Salad." Also figure out some easy snacks that give you variety. One weird bit of variety for me is eating hearts of palm straight from the jar. They may not appeal to you. Find something healthy that does! Avoid Nonsugar Sweeteners. Don't just replace sugar one for one with nonsugar sweeteners. It is a big help in going off sugar to get your sense of sweetness recalibrated. Avoiding nonsugar sweeteners is important for that to happen. I am not at zero in my consumption of nonsugar sweeteners, but they aren't a big thing in my eating patterns. In addition to making it so that your sense of sweetness doesn't get recalibrated, the sweetness of nonsugar sweeteners can easily make you think about eating and therefore increase your appetite (the opposite of satiation). Not all of that happens consciously. The third problem with nonsugar sweeteners is that all of the most common types have an insulin kick to them. I wish nutrition researchers had reached a consensus on the insulin kick from different kinds of nonsugar sweeteners. Based on what keto websites say, I consider erythritol and oligosaccharides the most nearly innocent nonsugar sweeteners. They are still sweet, but possibly only have a bad effect through sweetness itself. Stevia has a mixed reputation; I don't avoid it totally. Don't Prepare Food You Shouldn't Be Eating. My heart goes out to those who are trying to improve their own eating habits but are expected to prepare food for others who are content to eat badly. It is hard to resist eating food that you prepare if it is food that calls to you. Fortunately, people who insist on eating sugary food can usually be bought off with junk food purchased at the grocery store. Since you don't intend to eat what you are buying, make it easier for yourself to keep your resolve by buying things those you are buying for like but that you detest. Then you won't be as tempted. Similarly, if you really can't escape preparing some food you shouldn't be eating, see if you can't get away with preparing something you don't like very much. If You Bend the Rules, Eat the Worst Things First. I have read that, historically, the traditionally order of eating—appetizers, main course, dessert—was designed to maximize the appetite of guests at a party. One trouble with that is that if you eat a sugary dessert at the end of a meal, then you are likely to want to eat more after that. Or at a minimum, you will be able to happily get the sugary treat down when eating more of anything else would sound like too much. If the traditional order—appetizers, main course, dessert—encourages diners to eat as much as possible, reversing the order—dessert, main course, appetizers—should help you eat less. An insulin kick or psychological effect from sweetness that makes you want to eat more isn't quite as harmful if the next thing you were going to do was sit down to a giant, healthy salad anyway. Not so. Different calories are associated with dramatically different degrees of satiation. And while exercise will make you healthy, happy and smart, I don't know of any evidence that any amount of exercise below that of a competitive athlete can counteract the harm of a diet that is extremely heavy on sugar. There is some evidence that modest amounts of exercise can be protective against weight gain, but I wonder if that isn't related to exercise making people want to eat less sugar: if you are working so hard on the treadmill, are you really going to (under the conventional theory) undo all that effort by eating a lot of sugar? Help Us All Figure Out What Works and What Doesn't in Letting Go of Sugar by Sharing Your Experience. I would love to hear about your experiences—especially if you find going off sugar difficult. Even if I have the basic outline of the science of weight loss right in my contrarian views, the psychology and practicalities of implementing those contrarian views are still in their infancy. 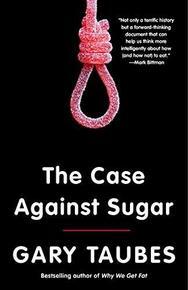 Hearing about problems people run into when trying to go off sugar is the only way I know to think about how to deal with those problems. And a brilliant solution you come up with might well be something I would never think of myself in a million years. So let us know about your experiences trying to go off sugar.